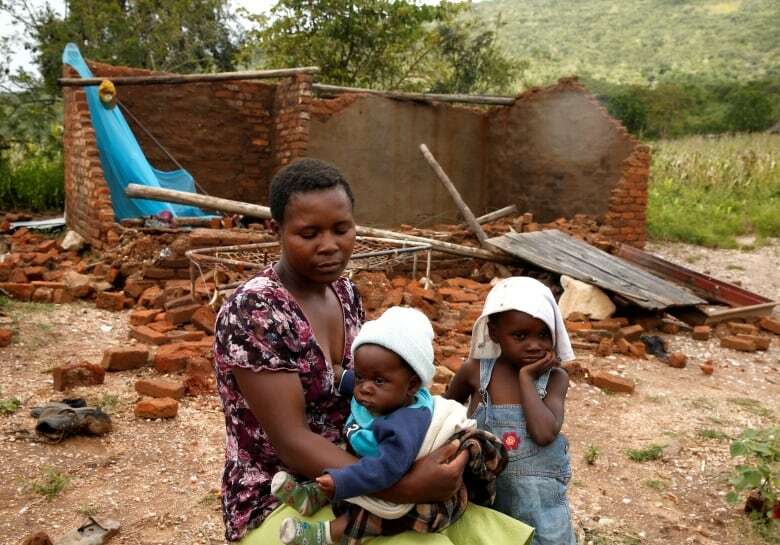 Hundreds are dead, many more are missing, and thousands are at risk from massive flooding in Mozambique, Zimbabwe and Malawi caused by Cyclone Idai and persistent rains. Rapidly rising floodwaters have created "an inland ocean" in Mozambique, endangering scores of thousands of families, aid workers said Tuesday as they scrambled to rescue survivors of Cyclone Idai who clung to rooftops and trees. Hundreds are dead, many more were missing, and thousands were at risk in Mozambique, Zimbabwe and Malawi. In Mozambique alone, President Filipe Nyusi said more than 200 people have died, the Portuguese news agency Lusa reported late Tuesday. Nyusi also announced three days of national mourning and said his government would declare a national emergency while meeting with his ministers in the largely destroyed city of Beirza. The storm ravaging southern Africa is possibly the worst weather-related disaster ever to hit the southern hemisphere, with 1.7 million people in the path of the cyclone in Mozambique and 920,000 affected in Malawi, UN officials said on Tuesday. Storm-surge floods up to six metres deep had caused "incredible devastation" over a huge area, World Food Program regional chief Lola Castro said. 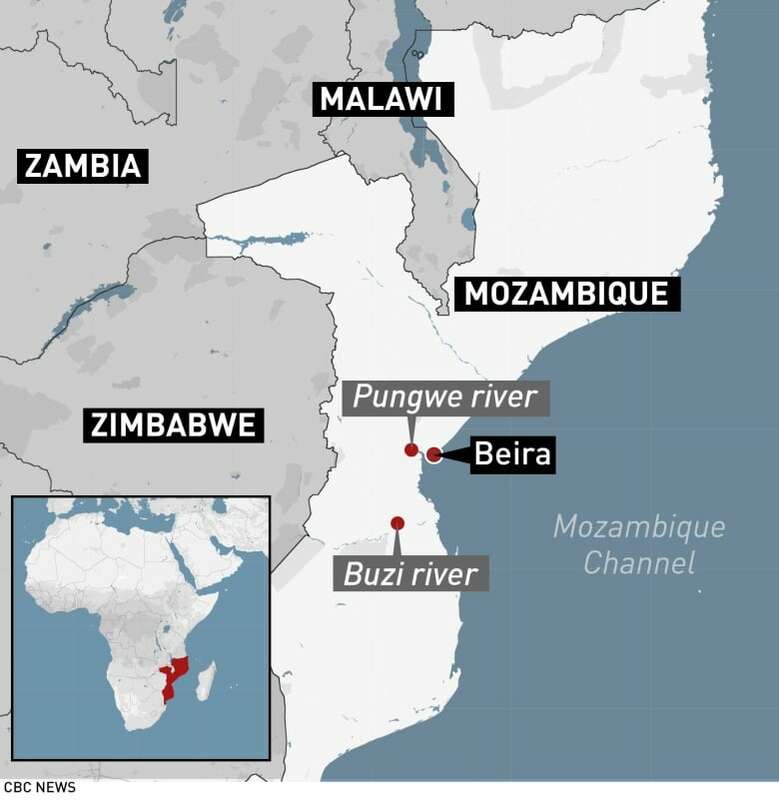 The Buzi River had burst its banks, killing hundreds, and there was risk of more flooding in the Buzi, Pungue and Save river basins in the next 72 hours. "This is a major humanitarian emergency that is getting bigger by the hour," said Herve Verhoosel of the WFP. Many people were "crammed on rooftops and elevated patches of land outside the port city of Beira," and WFP was rescuing as many as possible and airdropping food, water and blankets, he said. Overflowing river are creating "inland oceans extending for miles and miles in all directions," Verhoosel said. Dams have reached 95 per cent to 100 per cent capacity. 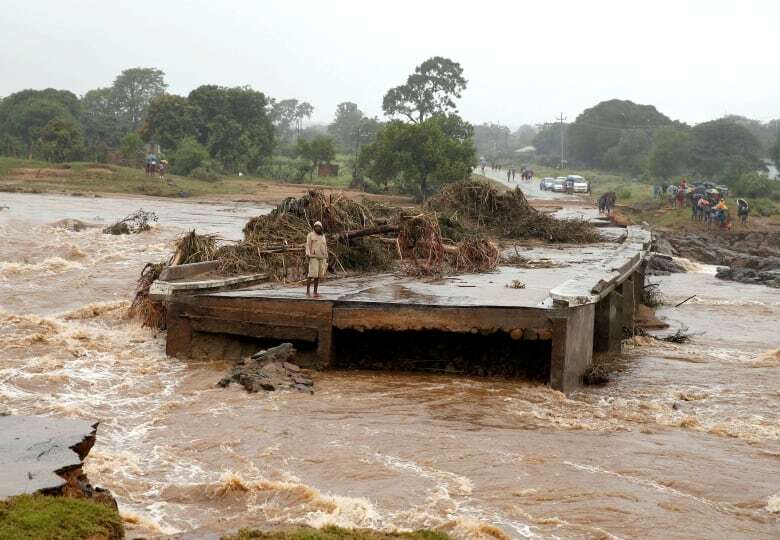 Cyclone Idai swept across central Mozambique on the night of March 14 before barrelling into neighbouring Zimbabwe and dropping huge amounts of rain in Zimbabwe's eastern mountains. That rainfall is now rushing back through Mozambique, further inundating the already flooded countryside. Satellite images were helping the rescue teams to target the most critical areas, Haga said. Rescue operations were based at Beira airport, one of the few places in the city with working communications. 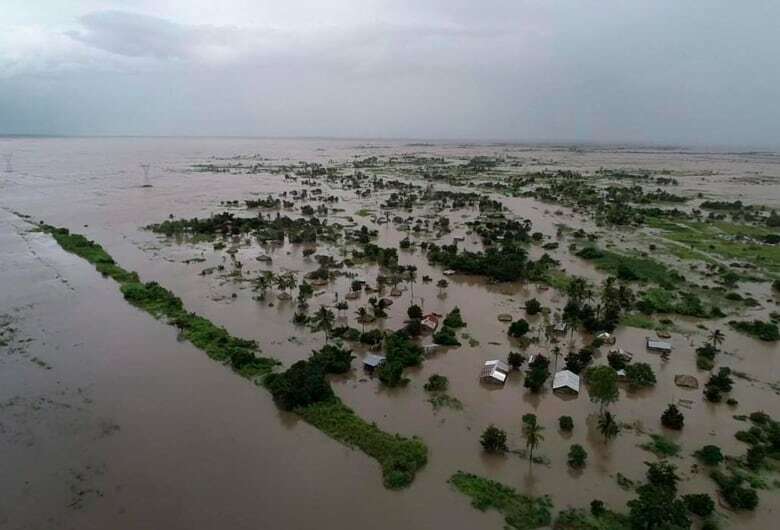 The waters flooded a swath of land more than 50 kilometres wide in central Mozambique, said the aid group Save the Children, and more than 100,000 people were at risk. "The assessment emerging from Mozambique today is chilling," said Machiel Pouw, Save the Children's response leader in Mozambique. "Thousands of children lived in areas completely engulfed by water. In many places, no roofs or tree tops are even visible above the floods." Torrential rain was still lashing the region, and Buzi town could be entirely submerged within 24 hours, the aid group said. Hardest hit is Beira, where thousands of homes have been destroyed. The city and surrounding areas have no power and nearly all communication lines have been destroyed. Beira's main hospital has been badly damaged. The cities of Dondo and Chimoio are also badly affected. Beira could face a "serious fuel shortage" in the coming days, WFP said, and its power grid is expected to be non-functional through the end of the month. In Zimbabwe the death toll rose to 98, the government said. The mountain town of Chimanimani was badly hit. Several roads leading into the town were cut off, with the only access by helicopter. Residents expected the death toll to rise. "We did over 38 burials this morning," Absolom Makanga, a Salvation Army divisional commander, told the AP. "It is difficult. We have to walk long distances because the roads are cut off but also because sometimes the graves are then washed away." Luckmore Rusero carried a small bag with his remaining possessions. His wife carried their one-year-old child while their 11-year-old son struggled to keep pace as they joined many others in seeking refuge. "Thank God we survived. There are no roads, no transport, so we have been walking for more than 20 kilometres now through the forests and the mountains," Rusero said. "I fled naked," Tecla Chagwiza said. "I only received clothes in the morning from well-wishers who are also helping me with food." She said her family's home was destroyed and three neighbours were dead. Others were missing. President Emmerson Mnangagwa arrived in the area on Tuesday, saying a number of countries including the United Arab Emirates, South Africa, Botswana, Namibia and Angola were offering aid. The location of Beira, a key transportation hub and city of about 500,000 in Mozambique, is highlighted. The cyclone and its remnants have also proven deadly in Malawi and Zimbabwe. 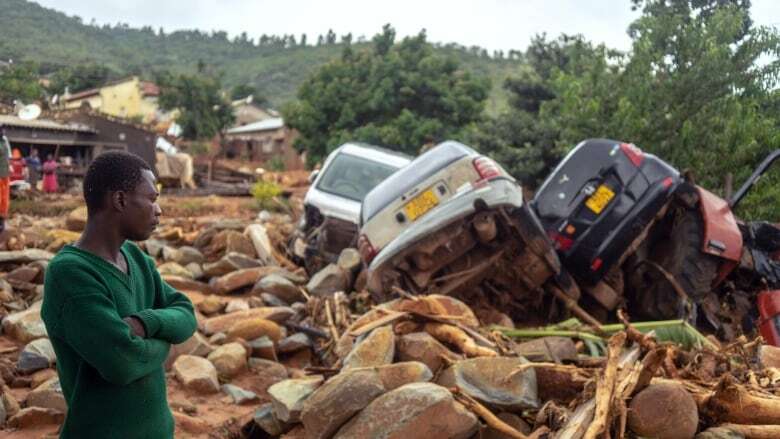 Malawi's government has confirmed 56 deaths, three missing and 577 injured in the severe flooding. Rivers have burst their banks, leaving many houses submerged and around 11,000 households displaced in the southern district of Nsanje. Neighbouring Tanzania's military airlifted some 215 tonnes of emergency food and medicine to the three countries.